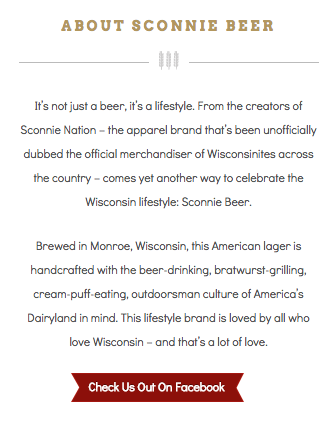 Client: Sconnie Beer, a spin-off of the Sconnie apparel brand, a super popular Wisconsin-themed clothing store in Madison, Wisconsin that was created by Troy Vosseller of gener8tor. 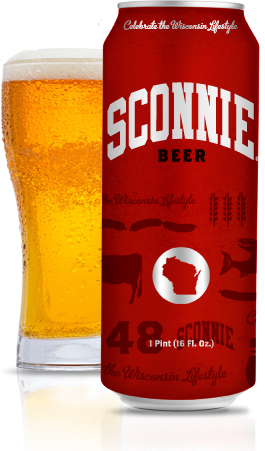 The brand is now closely tied to the University of Wisconsin experience. Needs: I was recruited to write the product copy and sell sheet for this nostalgic product.